With the growing popularity of smoothies and juice bars comes growing concern about the potentially negative effects on your teeth. 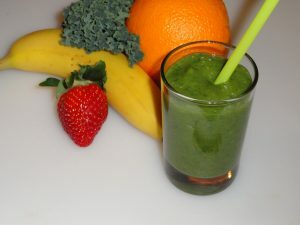 While the ingredients of smoothies may be good for you inside, the effects on your teeth may not appear so appetizing. You see, while fruit smoothies can be a great way to get your daily intake of fruits, the high concentration of sugar and acids means that they can do real damage to the teeth, especially if sipped throughout the day. Brush and floss before you enjoy your smoothie (rather than after). This helps to protect against the damaging effect of the acid contained in the drink. Rinse your mouth. If you just can’t brush or floss, at least rinse your mouth out with water. Use ripe fruit. Unripened fruit contains acids that can wreak havoc on your teeth enamel. Add some vegetables like kale and spinach. This creates texture and is packed with nutrients and they are sugar free! Go with cranberries. These little berries are not only delicious but are full of a chemical that actually blocks cavity-causing bacteria from sticking to teeth. Of course, regular visits to your family dentist are the best way to make sure you are maintaining good oral health. Make your appointment today with Longmeadow Family Dental Care.